Make it sew, Number One. 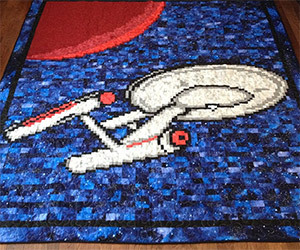 This incredible Enterprise quilt was made by artist Toni Smith. We'd also accept "Boldly doze where no man has dozed before." 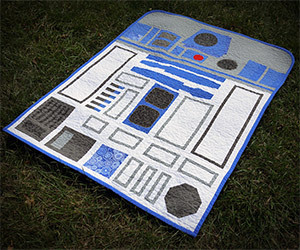 Super-adorable Star Wars R2-D2 quilt for her child's Star Wars-themed nursery. This is so cute and we're sure her child will always be safe from the Dark Side. 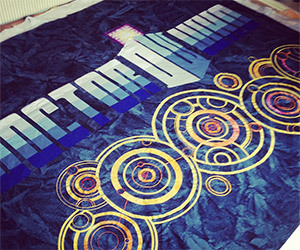 Textile artist Akiyo Kano created this incredible, one-of-a-kind, handmade Doctor Who quilt of the Doctor Who logo and the the Doctor’s Cot Gallifreyan writing.